A Wonderful Hunting and Fishing Experience on Reelfoot Lake! Looking forward to hunting or fishing trip in Tennessee? Let Homra's Guide Service give you a warm welcome. 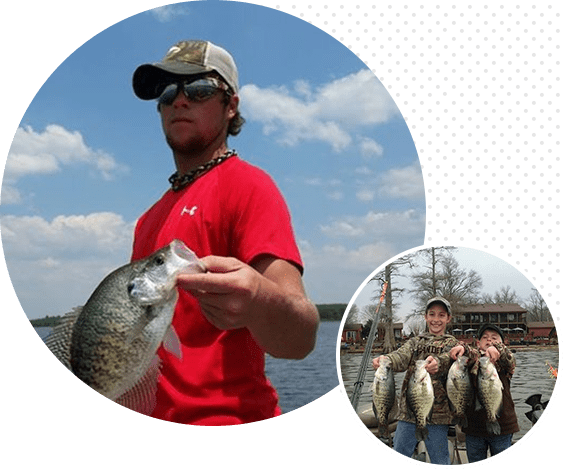 We are a family owned and operated guiding service based in Reelfoot lake, Tennessee offering you the greatest hunting and fishing escapade that money can buy! Homra's Guide Service also offers you comfortable lodging to unwind after a day of exciting activities. Whether you are a trained hunter or fisher, or keen on learning how to hunt or fish; Homra’s Guide Service can make your getaway a memorable one. With championship calling four blinds in prime locations and well maintained spreads, we provide you with the perfect hunting setup of your dreams. ​Let us take you on a hunt of a lifetime on beautiful Reelfoot Lake that you will remember & talk about forever! Love fishing? Then come, join us on the waters of Reelfoot Lake where we’ve grown up! We have all the necessary equipment and experience to turn your fishing trip not only a success but an amazing adventure. and book your Reelfoot Lake adventures with us! © 2018, Homra's Guide Service. All Rights Reserved.